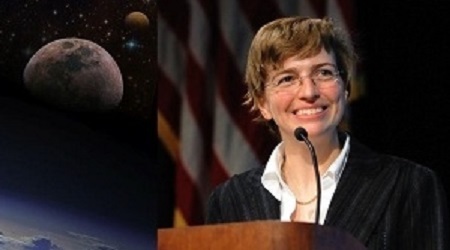 GLEN ELLYN, IL--(Marketwired - March 22, 2016) - COD will host a free presentation by NASA Ames Research Center Astrophysicist Dr. Kimberly Ennico-Smith at 3 p.m. on Sunday, April 10, at the Belushi Performance Hall in the McAninch Arts Center, on the College's main campus, 425 Fawell Blvd., in Glen Ellyn. Click here for directions to College of DuPage. On July 14, 2015, after a nearly ten-year trek across the solar system, NASA's New Horizons spacecraft successfully flew by Pluto and its system of moons, taking imagery, spectra and on-site particle data. Dr. Ennico-Smith's presentation, "Pluto Revealed: First Results from the Historic First Fly-By of the Pluto System," will summarize NASA's New Horizons mission and its early scientific results, including 3D imagery, as well as touching on the future of further exploration to the outer third zone of the solar system. Dr. Ennico-Smith's presentation will be followed by a brief question and answer session and a reception. Dr. Ennico-Smith is a research astrophysicist at NASA's Ames Research Center, and a Co-Investigator and Deputy Project Scientist on NASA's New Horizons Pluto Fly-by Mission, leading the calibration activities and doing compositional mapping of Pluto and Charon with color imagery and spectroscopy. Dr. Ennico-Smith is also an Instrument Scientist for the Near-Infrared Volatile Spectrometer System instrument in the Regolith & Environment Science and Oxygen & Lunar Volatile Extraction lunar payload suite and an Instrument Scientist for the Mid-Infrared Spectroscopy Mode for the Stratospheric Observatory for Infrared Astronomy FORCAST Instrument. She is also a Principal Investigator developing innovative telescope designs using small satellites. Her prior space mission experience includes being Instrument Scientist on the Spitzer Space Telescope Far-Infrared camera MIPS, specialist in detector radiation testing for the James Webb Space Telescope, and Payload Scientist and Integration & Test Lead for the Lunar Crater Observation and Sensing Satellite, where she successfully demonstrated a cost-effective Class D test program of modified COTS hardware. For more information on this event, contact Assistant Professor of Astronomy Joe DalSanto at dalsantoj228@COD.EDU or (630) 942-2163. The Astronomy program at College of DuPage offers a number of courses to meet students' interests and curriculum needs and features instructors dedicated to student success, as well as an enthusiastic Astronomy Club. Click here for more information about the Astronomy program at College of DuPage. College of DuPage will also host its inaugural STEM-CON, a free, fun and interactive event celebrating science, technology, engineering and math, from 10 a.m. to 4 p.m. on Saturday, April 30. Click here for more information on STEM-CON.